George Carlin and Robert Anton Wilson were big fans of each other, as you'd know if you read RAW's underrated, out of print book, Chaos and Beyond. 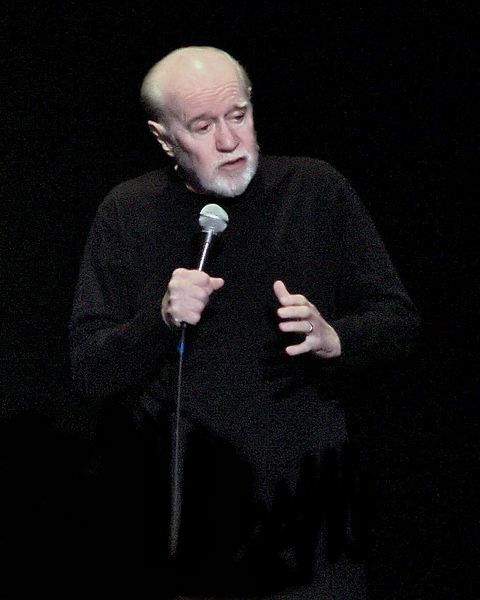 Jake Shannon has written a piece that explains why many RAW fans tend to like Carlin's work. Jake's piece is posted at his new Fnord University website, which resembles his Discordian Libertarians group on Facebook but which provides a place beyond Facebook's control (and censorship.) The initials for Jake's new venture allows him to put "FU and Your B.S. *: A Winning Team!" at the top of the home page.